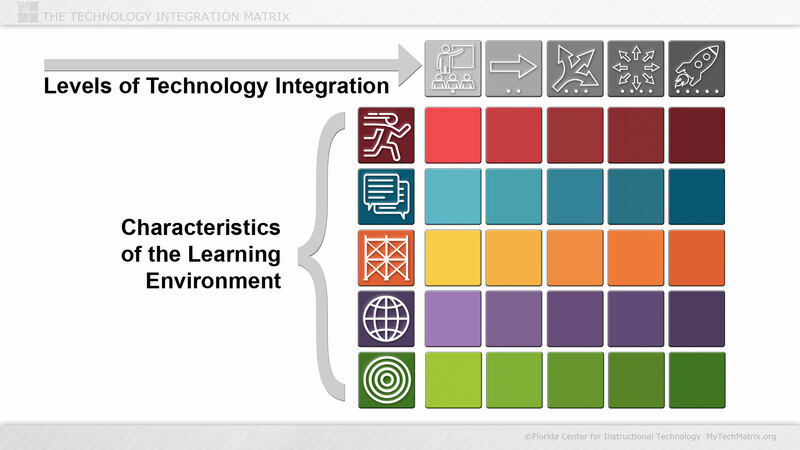 Presentation slide of the simplified icon version of the Technology Integration Matrix with the Levels and Characteristics identified. The five levels of technology integration form the five columns of the Matrix and the five characteristics of the learning environment form the five rows of the Matrix. Available in both standard (4:3) format at top and wide (16:9) format below.